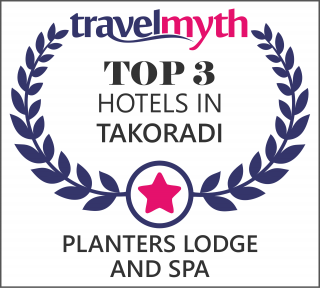 Luxuriously appointed rooms for an unforgettable vacation in Takoradi. The Mango Restaurant, a luxury fine dining restaurant with the best scenic view in Takoradi. Caramel Tea Shop - The Perfect Tea Shop. An excellent venue for a Romantic Dinner. Situated adjacent to Ghana's only Lynx Golf course, our visitors can enjoy playing at this breathtaking 9 hole course overlooking the Atlantic Ocean. We also have a professional 9 hole putting green on our grounds which is free for our guests to enjoy.